Creative home theater designs inspired by classic movies and TV shows. 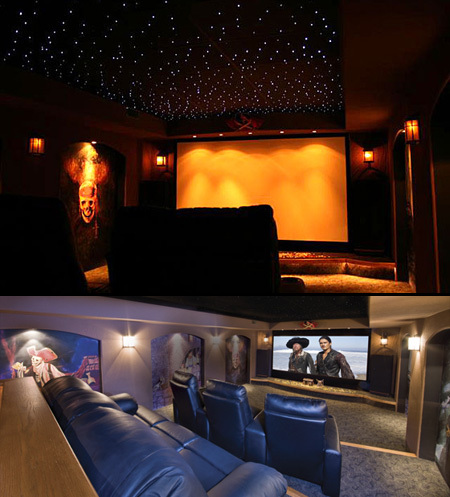 Beautiful home theater created by Elite HTS for a Batman fanatic. This cool home theater belongs to two Start Wars super-fans Vic Wertz and Lisa Stevens. Walk into the room and follow the backlit floor to either the left or the right. Both paths take you through automated sliding doors. 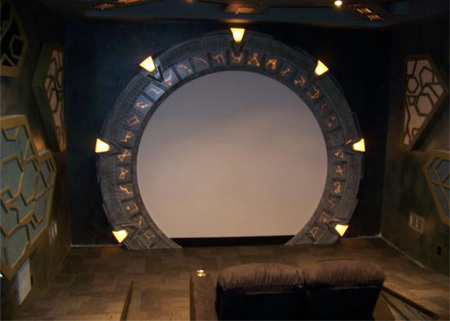 This creative home theater features the iconic round “Stargate” as the frame for the screen that is 10 feet in diameter. The walls include scenes from the ride as well as the movie trilogy. In addition, the room is scattered with pirate themed items that were bought from Disney directly or built by hand. Home theater filled with sci-fi animatronics that will have you jumping out of your seat. 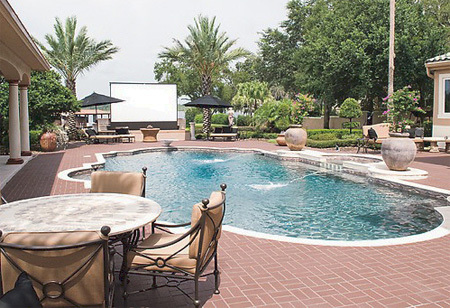 Designed by Crown Audio, this poolside home theater has a giant screen and uses 8 large speakers, concealed as rocks. 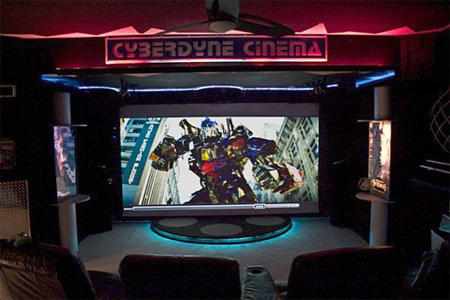 Cyberdyne Cinema was designed from a concept of the old-time sci-fi and horror movie sets. Aside from the obvious Terminator connection, the room also includes a life-sized Darth Vader and other sci-fi memorabilia. 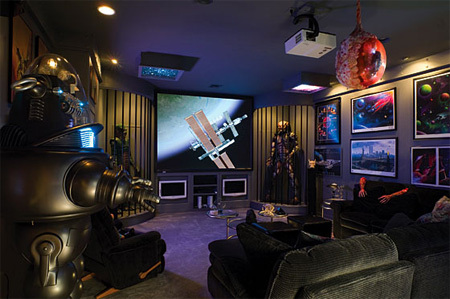 Amazing $3,000,000 Star Trek themed home theater designed by Electronic Systems Consultants. 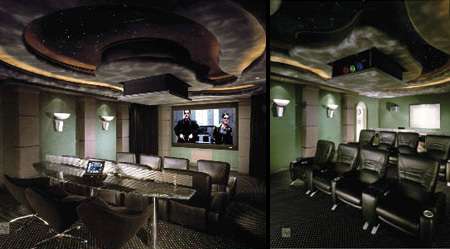 Genesis Audio was approached by a client who requested a home theater based on the movie The Matrix, and this is what they created. 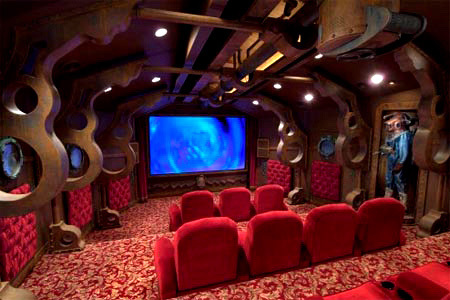 Unique home theater inspired by the Nautilus submarine from Jules Verne’s Twenty Thousand Leagues Under the Sea. 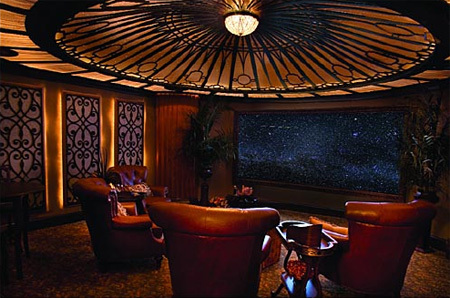 The dome in this home theater was inspired by Titanic. Its 1,230 fiber-optic light strands give the effect of a starry night sky. 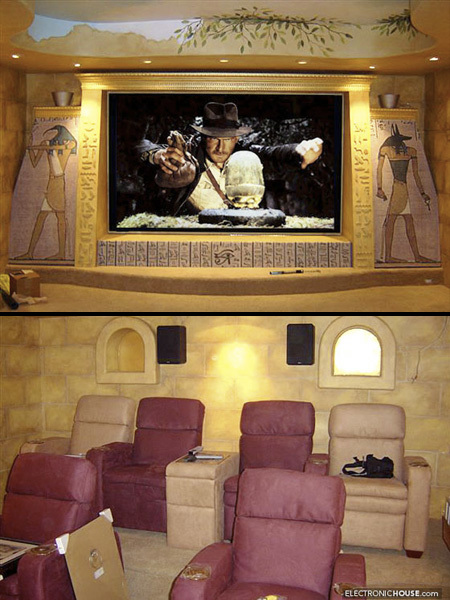 Prop replicas from the Indiana Jones movies are placed throughout this custom home theater. This makes my projector on a white wall in the basement looks pretty meek! Nice, but I prefer the simpler layouts that aren’t so distracting. When you’re actually watching the movie you dim the lights anyway. I do love the “stars” in one of those pics though.. would love to know how that’s done. These rooms are cool, full immersion into the movie guaranteed. Maybe not all movies though. Need to go a friend with another room to see a different type of movie. 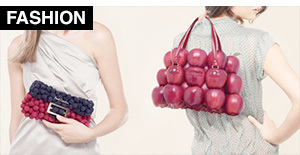 Wouldn’t take much – just being original. One doesn’t have to have the ability to do something to judge it based on good taste or talent. A few are cool. A few are a bit on the tacky side..
scarface and titanic are really nice. don’t care much for the rest. Hard to tell with the image resolution, but I like how deep the Nautilus ceiling looks. You can imagine lots of mechanical guts up there. The only thing I see is what would you do for the TV if it rained unexpectedly in the Scarface one? I imagine they cover it, or at least I would hope so. I would love to design a room like the Indiana Jones home theater. :] Not my own home theater, but just a normal room. My favorites were the Titanic, the Scarface, and the Star Trek rooms, and I like the idea used in the Stargate one where apparently you view the movie through the gate. 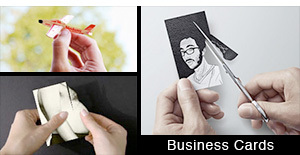 :] Really nifty. OMG. Soooo want the Scarface one! Man, that’s money well spent. Most of these are amazing. Sci-fi seems to be the theme of the day. Also noticed that those who say they don’t like these do lean toward the non-scifi rooms. It’s ok if you don’t like science fiction but you have to admit that a few of those like the Star Wars, Star Trek, Stargate and Nautilus are done very well. If you were a designer and your client said they wanted a Star Trek themed room you couldn’t do anything better. 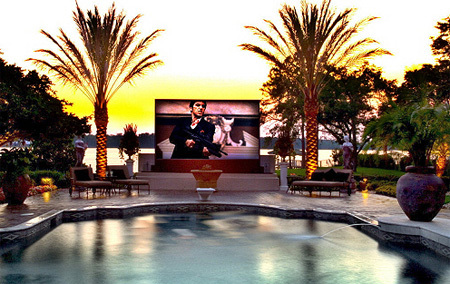 I have to also disagree with many of you about the Scarface one, it’s great but it’s not a theater room. All the others could be build in almost any home. The Scarface on the hand is all about the amazing pool, backyard, and lake behind. It is impossible for that to ever work in my backyard, but I could turn my living room or garage into any of the others. the first one, the stars one and the titanic ones are the best. everything else = tacky…except maybe the star trek one…cuz i’m a trek fan!!!!!!! :) The nautilus one reminds me of the xbox game bioshock…think i’d be really freaked out in that room. GREAT SITE!! I love the the batcave!!!!!! I’d like to know how the stars on the ceiling are done as well. 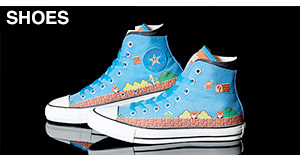 Some are kinda cool, but most are on the tacky side. 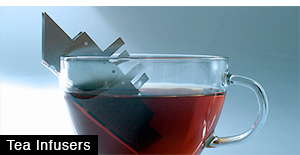 These are so cool, I like the Pirates and the Titanic ones the best. They’re all tacky as hell, but y’know, in a good way..
what happens if you want to watch indiana jones in the star wars theater? OMG. 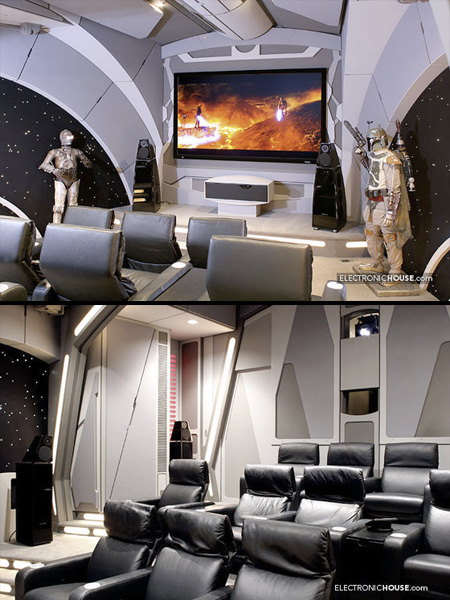 Im torn between the stargate and the star wars home theaters. i want both :(. 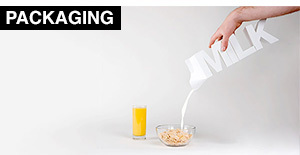 love the article. DUDE! These are amazing! But most of them seem to be missing the best part of a home theater: sofas. Screw individual chairs. How can you make out with someone who’s 5 feet away? Ya. Not easy. scarface HT makes them all puny. How about a home theater designed like a… theater? Either use fiber optic cable as mentioned above, or a load of christmas lights strands, find some with the smallest lights possible and let them poke through a black cloth ceiling. I want that Bat Cave. I’m certain these elaborate home theaters bring the owners many hours of uninterrupted enjoyment. It’s hard to imagine they could have spent the money in a way that would have benefited them more. Pretty cool. I built my own Trek theater. I think I can compete. It is really fun to do. These are a step in the right direction. A lot of DIY here, or stuff done by contractors. A professional fabricator would go a long way here. We work with them all the time for our theme park and museum work, and are looking to do a theater of that quality for the right client. Wish I had the cash to build one of these theaters. Very cool. yeah I probably go with the star trek one! That was my favorite. How is there not a Jurassic Park themed theater? If I had the money, I’d do the same. Anyway, I think they are fantastic, and being a Trek, Star Wars, Stargate fan, I don’t know which theme I liked the most. 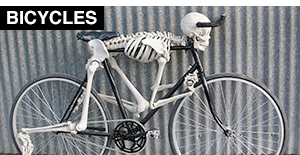 you’d have to be a millionaire to own one of those lol!!!!! 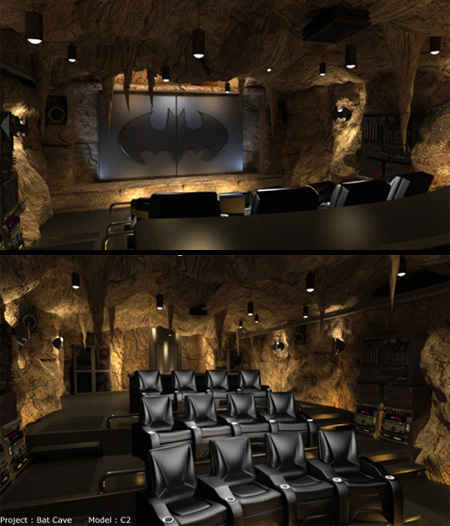 That Batman is off the chain….i gotta use that as a movie theatre idea when i get my house…..!! people sent a hell of a lot of money and time in these theaters, but whats the point if youre JUST gonna wach moovies in them and say youre in the Star Wars one and youre waching Iron Man or somthing, Youde look like an idiot. P.S. I wonder if you can hook those things up to a gaming console??? Love the Batman one, specially the seats and the screen cover with the Batman emblem. Scarface and Batcave are my faves! Yes, likely the XBox, Sony Playstation, or Wii will connect to their systems via an HDMI cable or a component connection. The XBox is used for the majority of the time in our theater. Not just for games either – Netflix, Hulu Plus, TVersity, or even the old DVDHD player. Modern Warfare Black Ops on the big screen in 1080p with a sniper rifle is epic! We get more use out of our theater room than our pool and it is definitely a lot cheaper than a pool. I want the stars effect in ours! When u are a celebrity and can’t go anywhere w/o the world getting in your face and love movies, this is what you do to create a world away from the one you are a prisoner from. It’s clear you’ve never had any real celebrity status and the money that can be attached or been friends with those who are pasted in the tabloids daily. While I never feel sorry for a person who can buy a ferrari on a whim, they can never be free like you and i to experience freedom of peace. I don’t have money like that but I work with those who do. I’m not here to lecture … Just give texture and offer another side to those we sometimes wish we could be or have the means they have. I like the pirates and bat cave personally. However my favorite is the one that’s bought and paid for and gives me enjoyment in my basement. Simple 40″ Samsung w average 5.1 Sony surround sound and a couch w frig next to it. It’s wanting what u have not having what u want…. Perhaps that’s what Cauck was trying to convey.